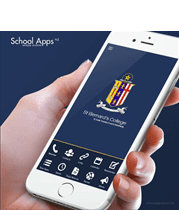 A new era begins at St Bernard's College. 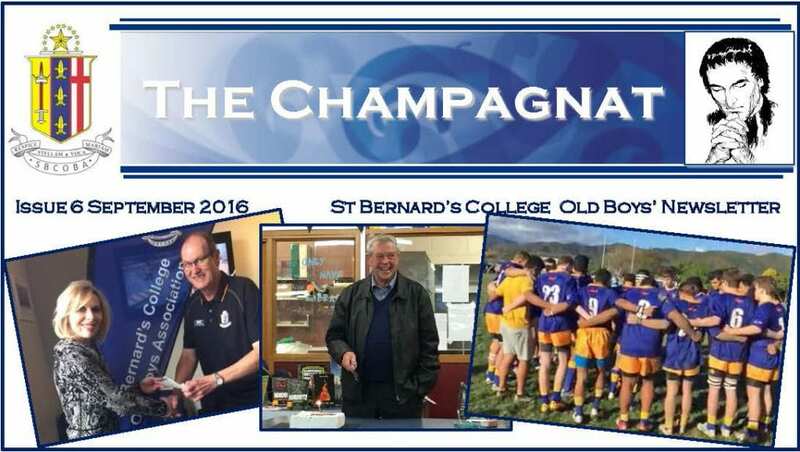 The Board of Trustees recently approved the formation of a new St Bernard's College Old Boys' Association. The Constitution was adopted in October 2014. Support the college through Fellowship, Initiative and Investment. The term Old Boy has a new status at St Bernard's, not dissimilar to that of VIP. Old Boys are welcome at the College anytime and you will receive a warm reception. Although one is a student for a relatively short part of a lifespan, these students once passed through St Bernard's will remain an Old Boy of the College for Life! This network is the hidden and untapped jewel of the College Community. What talent and wisdom is contained within this group. The new Association of Old Boys will bring this resource back within reach of the College to benefit the boys. In order to grow the Old Boys' Association needs funding. Membership of the Old Boys' Association is just $40.00 per year [Life Membership is capped at $200.00] You may also like to know that 25% of the membership charge goes to the Old Boys' Scholarship fund and will be awarded to leavers each year as Marist Memorial life start scholarships to assist in the transition from the college to their next life journey. For full information click on the link below. 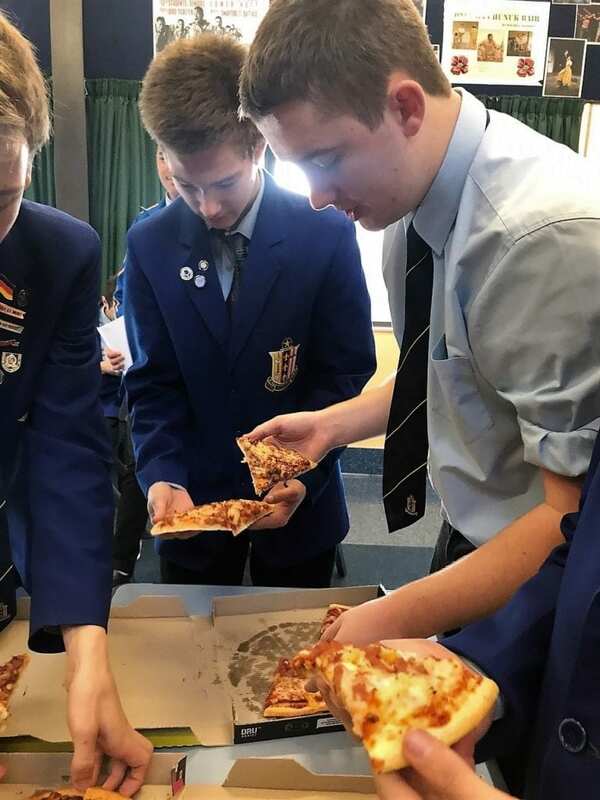 A huge thanks to the St Bernard’s Old Boy’s Association for their generous gift of pizzas today. 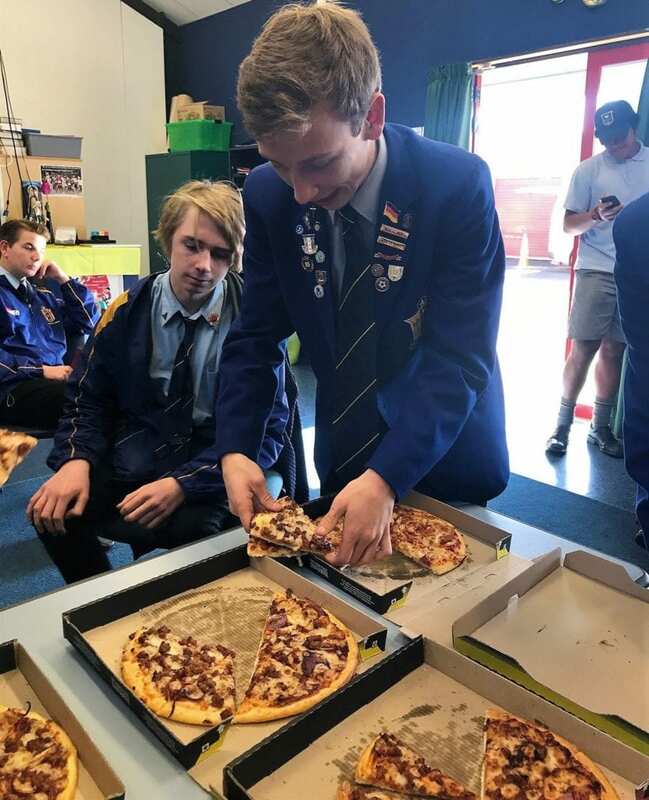 As recognition of the great achievement in winning the O’Shea Shield the Old Boy’s have provided all of our 646 students with pizza!! 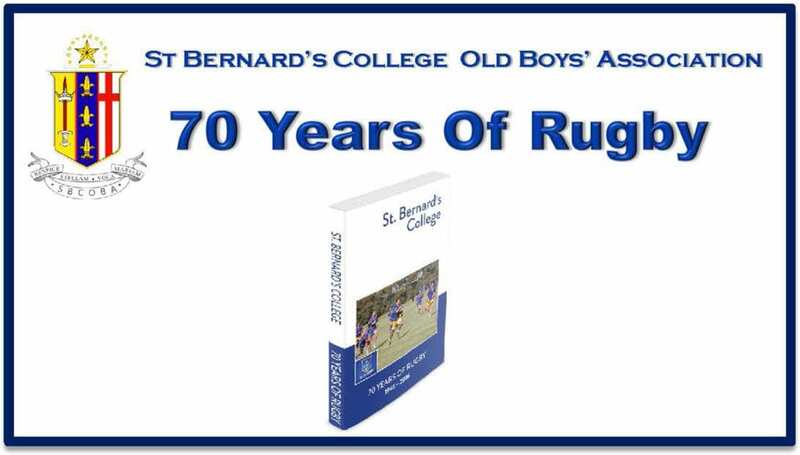 We are pleased to announce that a book chronicling the History of St. Bernard’s Rugby is completed and is currently being printed. This is a comprehensive compilation detailing results and traditional fixtures, including over 200 photographs. 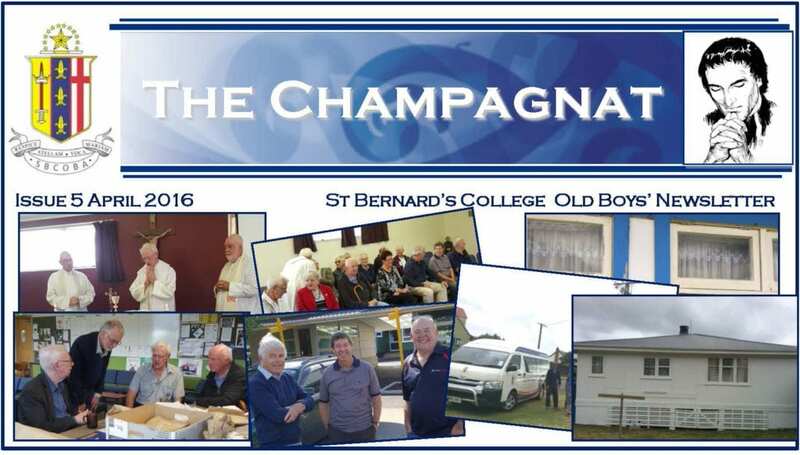 Grab yourself an important part of St Bernard’s history for just $25.00. Don’t delay it’s strictly limited to a print run of just 200 books. See the order form below for all the details you need to order your copy.